It guides how to install Imgburn without adware of Ask and OpenCandy. - I have downloaded ImgBurn to copy DVDs to folder for a long-time storage but the adware makes me very angry. Anyone can tell me how to install ImgBurn without stubborn adware? - I need a method to install ImgBurn without adware badly. I hate the bundled AVG Toolbar and Mezza with ImgBurn very much. 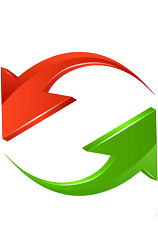 ImgBurn, the favorable open-source DVD burning software, is good at creating images/folders from optical discs and copying discs to images/folders backward. It handles a large range of image formats (ISO, BIN CCD, CDI etc.) and supports burning CDs from any audio file types. On account of its lightweight and quick copy/burning speed, ImgBurn becomes one of the most popular DVD burner all over the world. 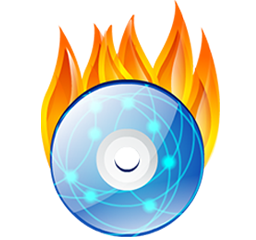 Although it is recognized as one of the most powerful disc-burning and disk-image creating application, most users complains that they are dissatisfied with the bundled adware with ImgBurn. Well, someone may be seeking for a way to install ImgBurn with adware free and here, I will guide you to realize it. Frankly, you should pay much attention on each option during installation process since the adware will be stealthily installed on your PC if you treat it lightly. Please follow the steps to install ImgBurn adware free. 1. Double click installation file of ImgBurn (SetupImgBurn_version.exe) to start installing. 2. Tap Next to go on installing till you reach the step "Install AVG Toolbar". Please select Custom Installation and uncheck all sub options. The next step is "Install Mezaa". Select Custom Installation and uncheck sub option as well. Note: Adware will be different according to ImgBurn version and recommendations of OpenCandy, an advertising software module. 3. The next step is to complete installing and the adware will not exist on your PC. Indeed, the adware is too obstinate to uninstall from your computer if you accidently ignore to customize installation. Therefore, the safest way to install ImgBurn without adware is to use a totally stand-alone ImgBurn alternative with any annoyed adware or plug-ins free. WinX DVD Copy Pro is superior DVD copying/burning software, capable of 1:1 cloning DVD to DVD/ISO/Folder and creating DVD from ISO/Folder contrarily. It also specifies great ways to copy DVD titles, containing DVD to single MPEG2 file backup, DVD chapters backup, audio/video extraction from DVD. Compared with ImgBurn, WinX DVD Copy Pro is 100% clean and safe with no adware, malware, spyware or virus bundled so that you needn't worry about that irritating useless and malicious software will be installed on your computer. Moreover, it can copy and burn latest protected DVDs with no effort at all, while ImgBurn cannot remove DVD copy protections. Furthermore, its low CPU cost and fast speed makes DVD backup more effective than ImgBurn. To sum up, WinX DVD Copy Pro is the best ImgBurn alternative to install ImgBurn without adware of Ask and OpenCandy because of its completely stand-alone feature and speedy DVD copying/burning process (especially for encrypted DVDs). Note: Please read DVD Copyright Law in your country carefully before copying/burning DVDs. Best DVD copy and burning software for Windows (10/8/7/Vista/XP) to clone DVD to DVD/ISO image/folder, backup DVD titles/chapater, extract audio/video from DVDs and burn DVD from ISO/folders with lossless quailty at a high speed.